The Kerr Team has been working hard to fulfill the mission they set out to accomplish with the Great Ends Grant gifted to Kerr Presbyterian Church by the Pittsburgh Presbytery. During the past months, they have met with three consultants: a Licensed Professional Counselor, a Real Estate Agent, and a Web Developer. Each has affirmed the value of this project and has given great advice for moving forward. In addition, new drainage has been added, the furnace has been replaced, and a new water heater pilot light was installed. 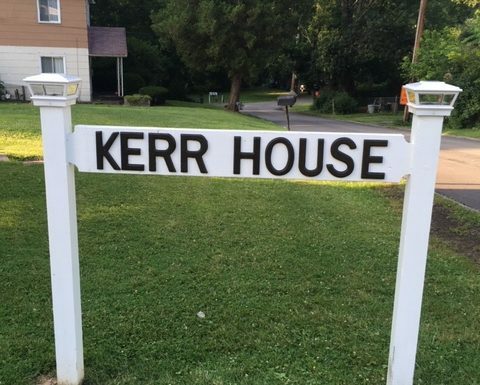 Thank you to all of you who have been cleaning the Kerr House and moving this project from dream to reality. Our prayerful hope is that the Kerr Counseling Center will be a light supporting our community through counseling early in the new year. We have been approved for a grant extension until May 2019.